Stefan Blach has been named as the opening speaker for Glass Performance Days Finland 2019, which takes place June 25 to 26 in Tampere, Finland. Mr. Blach is currently well-known in Finland as he is the Partner-in-Charge of the new landmark project, Central Deck and Arena in Tampere. The urban scale development is located on top of existing railway tracks in the heart of the city. 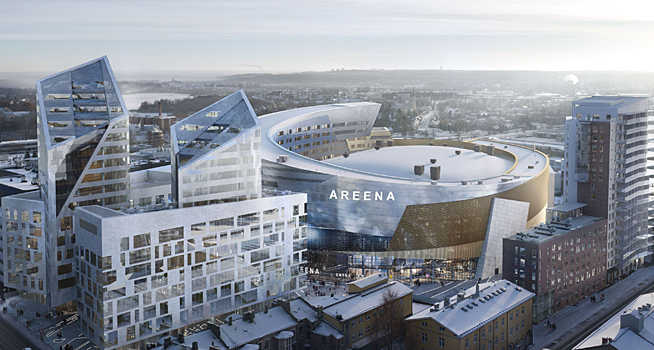 The mixed-use program includes a multi-purpose ice hockey arena with Hotel, five residential towers with podium, including retail and offices. The estimated cost of the project is 500 million EUR. Mr. Blach has 30 years of experience in coordinating design teams and consultants for a wide range of cultural, residential and commercial developments like the Grand Canal Theatre project in Dublin, the Kö-Bogen retail and office complex in Düsseldorf and museums in Dresden and China. Learn more about Studio Libeskind from their website.